KATHMANDU, Aug 1: Nepali Congress (NC), the main opposition party, has staged protests across the country, accusing the ruling Nepal Communist Party of heading towards authoritarian rule. Protests rallies were organized in all 77 districts. 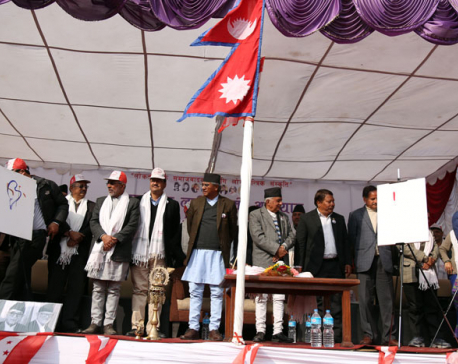 Top NC leaders addressed the rallies and warned the government to correct unconstitutional ways. Hundreds of NC leaders and cadres in the capital marched from Bhotahity through Asan, Indrachowk, Bishal Bazar and New Road and finally converged at Shanti Batika, Ratna Park. They slammed the government's handling of a wide array of issues. From the increased tax burden and the ever-burgeoning expenses of the government to its interference in the judiciary and proliferating cases of sexual assault and murder, the protestors had complaints galore against the Oli government. Santosh Chaulagain, a NC leader from Shankharapur Municipality who was in the rally, said they were protesting against the inflation, the inability to make old age allowances available, the rising taxes and the government's inability to work according to the Constitution and live up to its election manifesto. “The government works to serve the families of its leaders, not the common people”, Chaulagain said. Januka Bhandari, a local from Bouddha, said the misdeeds of the Oli leadership were too many to list. 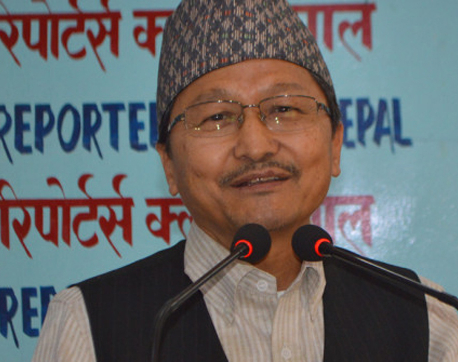 He referred to Durga Prasain's derogatory remarks against Nepali women, government interference in the judicial system, and the reckless increase in taxes, and said the government did whatever it pleased with little regard for the Constitution. “This is not democracy. This is anarchy”, he said. The present government had not only failed its own promises but also failed to implement the decisions of the previous Deuba government. The provision for a monthly hardship allowance of Rs. 5,000 for patients suffering from life threatening diseases like cancer and spinal cord injury had not been implemented. The old age allowance was not being provided, Bhandari further pointed out. Protestors also accused the current government of hypocrisy. “Those who said that they were against India's doings are now currying favor with Modi”, said Bal Krishna Shrestha, a NC supporter . Many are also unhappy with the government's designation of localities where protests are banned . This would compromise democracy and the freedom of speech, they pointed out. The protestors repeated chants like “Rapists should be hanged”, “Manage the waste”, “Distribute old age allowances”. The NC has stated that the protests will continue until reforms materialise and promises are met.